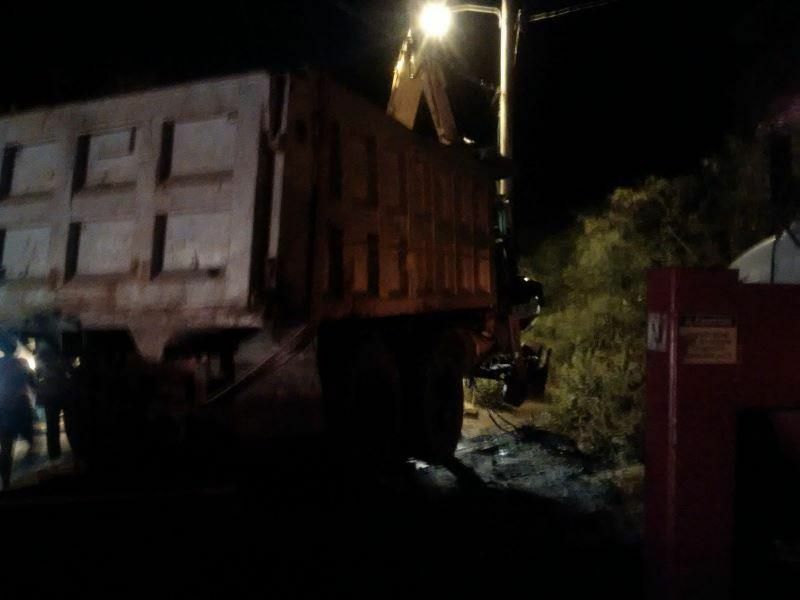 SOPHIE BAY, Tortola, VI- How a gravel truck ended off the road and partially into a ghut is still sketchy but no injuries have been reported in the incident at Sophie Bay on the main island of Tortola. The incident, Virgin Islands News Online was told, reportedly occurred on Monday night, October 26, 2015 but was only being removed the following evening. 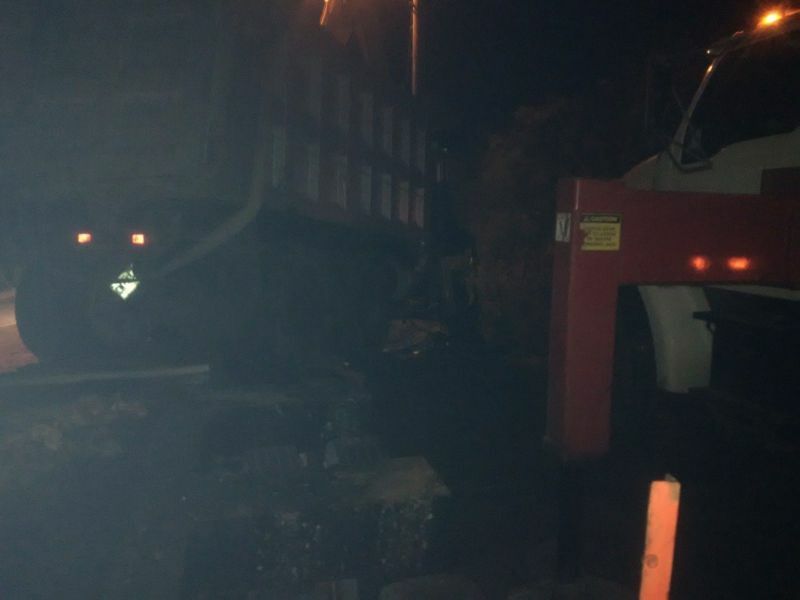 The removing of the truck, sometime after 7pm on October 27, 2015, held up traffic heading eastward for some 45 minutes, forcing many to turn back. The truck ended up facing a westward direction on the eastward lane following the accident the previous day. When this news site arrived on the scene on October 27, a crane was being used to lift the truck out of the ghut. Persons were unwilling to say what transpired. No police officers were on the scene at the time and community minded persons were seen trying to control traffic. There have been a spate of accidents on the island recently. Earlier today, two tourists were injured in an accident at Pasea. Speeding and reckless driving do create accidents but not in all cases, there are also a number of other things that can create accidents. Please do not be quick to point fingers. 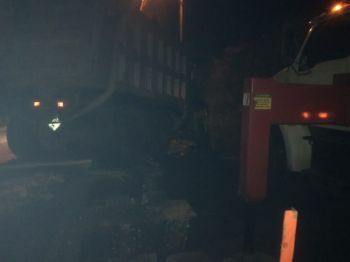 Who the truck belongs to is irrelevant we must say thank God no one got hurt.